Formerly Wills Lifestyle, ITC's WLS, is marketing garments with 100 per cent natural fibres. A quick look at the effort. Most brands pick a cause and create advertising campaigns around it. Wills Lifestyle went a step further by integrating the cause into the brand's identity. Last month, Wills Lifestyle announced that it would be rebranded as WLS. The brand promises that every garment and component (fabric, buttons, threads, labels) will be made with natural material. All of WLS' garments will be made of cotton, linen, silk or woollen materials and will be fully biodegradable. As a part of rebranding efforts, WLS will also have a new logo called 'Tattva' that promises to be a confluence of the elements. 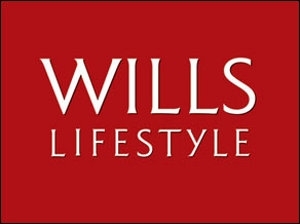 About Wills Lifestyle's new identity, Vikas Gupta, divisional CEO, ITC Lifestyle Retailing Business Division, says "Evolved consumers understand the consequences of their actions on themselves, their communities and the planet. As global Indians appreciate the authenticity of Indian roots and heritage, they seek garments that reflect their identity. Our new direction is an amalgamation of these insights and inspired by all that is real. Our entire product cycle - from ideating and designing the garments to sourcing and then manufacturing - has been reoriented to live up to our promise to consumers." As part of the new brand identity unveiling, WLS launched print ad campaigns in February that included teasers followed by full-page announcement ads on the rebranding efforts. The ads ran in the Times of India on February 6, 7 and 8 this year and on February 18, WLS ran a full-page ad in the Hindustan Times. 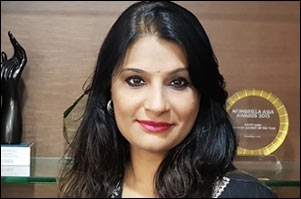 The social media campaign that it ran is similar to the teaser ads they put out in the Times of India, with particular emphasis on sustainability and returning to nature. The brand has also associated with actress and influencer - Shilpa Shetty - tagging her as a 'Friend of WLS.' WLS is also running a campaign on its social platforms titled #LiveFree. The campaign uses a mix of short videos and creative visuals to drive home the message of conscious fashion that WLS now stands for. Before conceptualising the new brand direction, the WLS team tells us that a lot of research went into creating an identity that resonates with consumers. "We conducted a qualitative survey from a sample size of 900 respondents after which a series of concept workshops were held to understand the direction to be taken. Based on our findings, it became clear that companies who have clearly outlined their purpose, transformation and initiatives are more resonant with consumers," they point out. While purchasing garments, consumers don't often pay attention to the finer details of what goes into making the clothes they wear - whether it has been created with harmful materials or if it's toxic to their health and surroundings. It is important to be aware of the harmful side-effects of fast fashion; to know if the crop was initially grown with the use of excessive pesticides or was the fibre put through toxic chemicals to make it market ready. Concerning the use of natural materials affecting the price of the garments, the team reiterated their dedication to sustainability, but admitted that it would cause a "slight upward price shift". They also mentioned that while the brand has taken steps toward sustainability, the team has been doing its best to keep prices close to what they were. A visit to the WLS site lets a consumer peruse the entire collection and the difference in prices is visible. E-retailers such as Myntra and AJIO still carry Wills Lifestyle merchandise in its old identity. They may not be as sustainable and carry remarkably different styles. The WLS team emphasises that all of its marketing campaigns will be focussing on sustainability and the aspect of the garments containing 100 per cent natural fibres. Future collections of WLS will draw inspiration from various parts of India. Marketing efforts in the digital space will focus on carrying forward from campaigns done for the previous collections titled the 'Voice of Gujarat'. For those campaigns, the team spoke to local influencers belonging to that particular state on where their inspiration came from. "We need to educate ourselves and come to the realisation that change needs to come first from us." Can Flipkart Stand For Fashion?